Charles Shaffer netted his 14th goal to open the scoring in the first period, giving the Bruins a 1-0 lead. In the second period, following a game-tying, power-play goal by Gunnery, the Bruins retook the lead on a Ryan St. Louis goal with 12:30 left. The St. Louis tally was his 14th, tying Shaffer for the team lead. 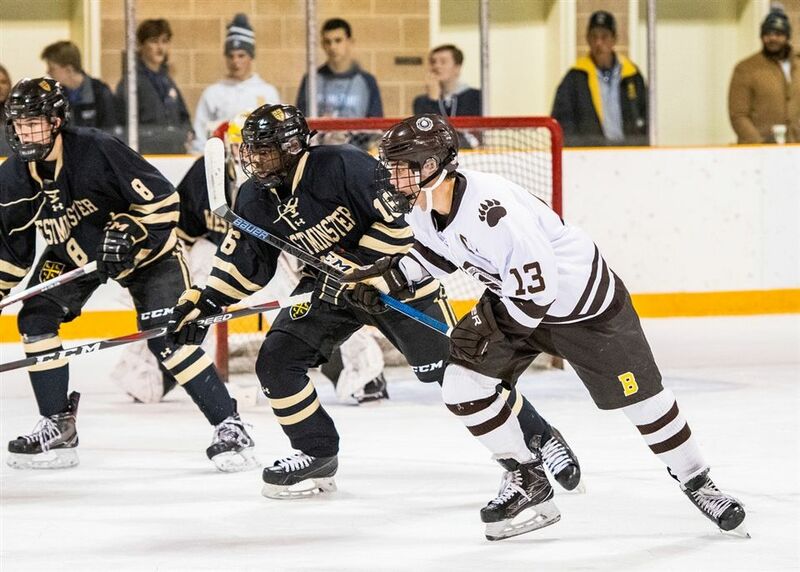 Trailing 2-1, the Hilltoppers responded with a three-goal run to close out the second period. Facing a 4-2 deficit in the third period, Brunswick made it a one-goal game at 11:59, as Jude Brower notched his third goal of the season. Down the stretch, the Bruins could not net the equalizer, as Gunnery skated away with the 4-3 win.